There is only one thing that Alexander Bàn MacDonald does with more frequency, skill, and enthusiasm than swiving the lasses, and that's fighting. Though it's a narrow margin. Now that the skilled fighter is back in the Highlands, his cousin Connor settling in as clan chieftan, it is up to Alex and his best friend Duncan to aid their friend in securing alliances while all of Scotland rumbles with the discord between Crown and rebellion. Paying favor to the neighboring MacNeil clan with a visit is all well and good, but Alex draws the line at the idea of a marriage alliance. He can and will happily bed any and all comely lasses, married or no, but he will never take the shackle himself. Not after the example his parents set for him. He'd sooner take a blade in the chest. Fortunately for him, MacNeil's eldest establishes quickly and unequivocally that she's no keener on the idea than he. Though she is definitely a beautiful lass. Glynis MacNeil has good reason to want to avoid a marriage bed. She's had one already and it didn't end well. Her first husband proved himself to be an unfaithful lout, and she ended that marriage with a deft flick of a blade. Wedding Alex MacDonald, a known philanderer, is just as likely to end in bloodshed and pain. She would take no part in it. No matter how handsome the rogue is. Alex is forced to reevaluate his stance, though, when faced with the consequences of his past. It's only then that he realizes how untenable the idea of marriage would be with any woman besides Glynis. Convincing her to give up her own reservations, however, may take more charm than even the eminently charming Scottish warrior can claim. It's true, I'm a sucker for a hot guy in a kilt. Toss in a healthy brogue and a bit of scruff and I'm a puddle. 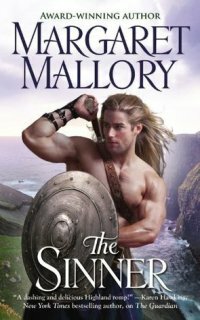 And the great thing about Highland historical romances like Mallory's The Sinner is that all the men are hot guys in kilts. It's a veritable cornucopia of yum! In this case, there's also a rather large amount of fantastic story surrounding all that fictional beefcake. Maybe I wouldn't have been quite so thoroughly entertained, though, if it hadn't been for Glynis. I loved her from the start. She was feisty, independent, intelligent, and not afraid to take a sharp point to a man who desperately deserved it. Mallory made her believable for her time period, gave her a backbone and an inner strength that I appreciated, and imbued her with a warrior spirit, for all her femininity. Alex was also a pleasure, though I favored Glynis a bit more. He was definitely a nicely layered character with plentiful depth, but I wasn't as fond of his background. I know it's historically authentic, but the bed-hopping man whore persona isn't a favorite of mine for romantic leads. 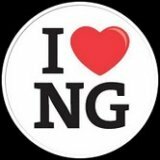 In his favor, he was honest and forthright about it, he certainly didn't deceive or betray Glynis, and his moments of insensitivity, while painful, weren't intentionally so. I did have difficulty fully sympathizing with him about his parents' contentious relationship. Especially as so many of Alex's issues with marriage concerned the effects of his father's indiscretions - the sort that Alex had spent his life practically reliving. Still, both Alex and Glynis were three dimensional and likable. As individual characters they exuded a force of personality that couldn't be denied, and as a couple, they were incendiary. The plot was complex and layered and wholly entertaining, especially when surrounding such strong lead characters. Expansive and detailed, weaving together a wide array of plot threads and story elements, it's a varied, intriguing journey through early 16th century Scotland. Action, danger, robust emotion, sizzling sensuality, battles and pirates and kings; it's all bound up into a fast-paced narrative that swept me up and carried me along from the first to the final page. A major relationship conflict in the romance arc between Alex and Glynis struck me as less compelling. The complete breakdown in communication between them and Glynis' reactions to it, which seemed slightly out-of-character at the time, are never things I enjoy. Despite that, the evolution of their relationship was, for me, the true gem of the book. I loved how well suited the characters were for each other, first as like-minded friends and eventually lovers. The development of their relationship felt organic to both their characters and the situations in which they find themselves. All the facets of this book pulled together to form a fantastic tale. I haven't read the first in the series, though I'm happy to say it wasn't necessary to enjoy this one, but I have every intention of reading the next. I felt for Duncan after hearing the opening strains of his upcoming opus in this book, and I liked him quite a bit as he stood beside Alex as a warrior and a friend. I am intent on seeing Mallory provide him with the sort of happiness the poor love-lorn male deserves. After The Sinner, I anticipate another rousing romp of danger and intrigue and romance in the Scottish Highlands. And braw men in kilts. Lots of yummy braw men in kilts.